Both Amazon India and Flipkart have been working on their insurance plans for the past four months or so. 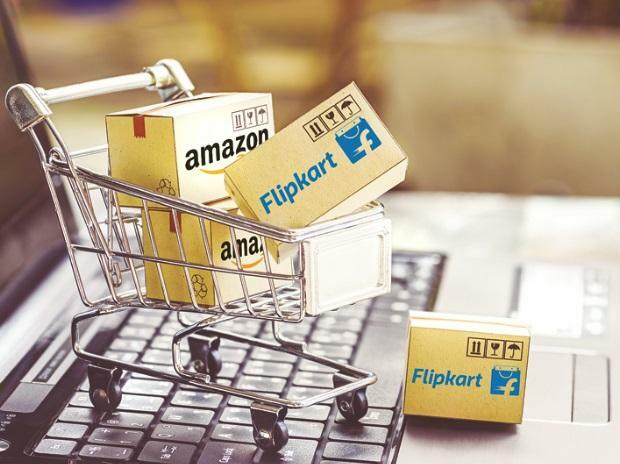 After fashion, electronics and groceries, India’s two biggest e-commerce players Amazon India and Flipkart are ready to tap the Rs 35,000-crore online insurance market for the next level of growth. The online insurance market is so promising that Flipkart’s co-founder Binny Bansal and Amazon have made mega investments in the same firm in this space. The two companies have been perfecting their game plans and scouting for partners for tie-ups. From general, life, auto, and travel to mobile phone safety insurance, both companies aim at getting the lion’s share in online insurance pie. The firms are also bringing senior hands in the insurance space to understand the sector and ready their plan. By the year-end, this could be the biggest vertical for these firms outside of shopping. According to sources in the know, both Amazon India and Flipkart have been working on their insurance plans for the past four months or so. While some of the products have already been introduced, sources said the major push to the vertical would be given through the rest of 2019. Sources said while the plan was to roll out insurance products in the first half of this year, things got delayed as the companies were caught in getting their houses back in order, following the introduction of foreign direct investment (FDI) in e-commerce norms. “We are pleased to receive the corporate agency licence from the Insurance Regulatory and Development Authority. At Amazon Pay, we continue to work customer backwards and focus on providing value to customers wherever we see an opportunity, insurance being one of them. We are exploring the landscape in India and are looking at insurance solutions that provide a convenient and seamless experience for our customers,” Amazon India spokesperson said. Flipkart did not comment on the issue. Sources said the firms plan to weave in insurance into various verticals as well as provide standalone insurance products. “Amazon and Flipkart both sell have travel and ticketing vertical on their platform. They can provide travel insurance as part of the package. Similarly, they can provide theft and damage insurance for high-value electronics. They will soon start selling general and life insurance,” said a source close to the firms. Amazon India sources said plans to get into tie-ups with multiple firms to order the whole bouquet of services. Flipkart is also looking out for insurance firms to partner with. “They will not come out with their own product but in partnership with companies. Providing insurance would complete the package and offerings for these e-commerce firms,” added the source. Alliances have started forming in the sector. Flipkart last year got into a tie-up after securing a corporate agent licence. It started with offering customised insurance solutions to power its ‘Complete Mobile Protection’ programme for all leading mobile brands being sold on its platform in partnership with Bajaj Allianz General Insurance. Last year in May, Amazon led a $12-million round in online insurer Acko General Insurance. Interestingly, Acko a few days back raised $65 million in a round led by Flipkart co-founder Binny Bansal and another led by former SoftBank managing partner Kabir Misra.